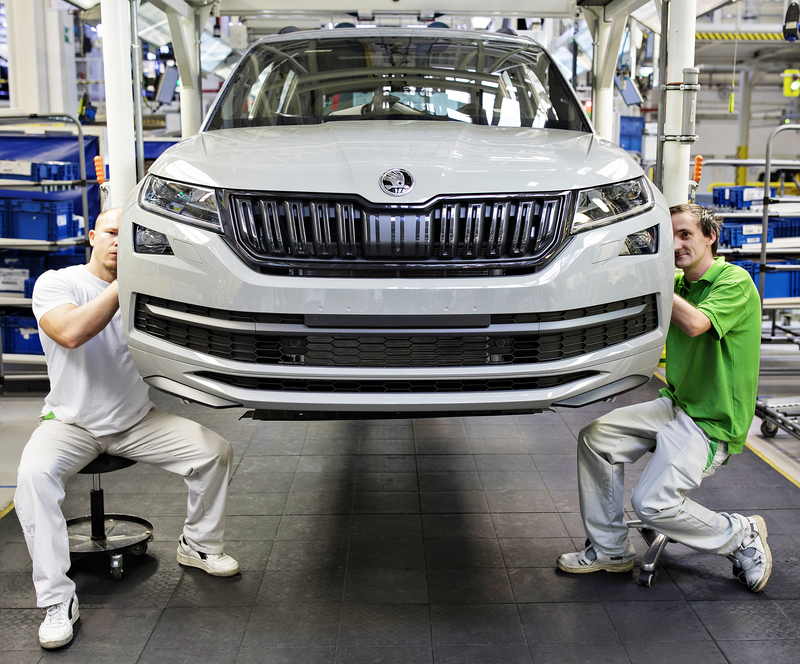 Mladá Boleslav, 27 September 2018 – Today, the ŠKODA AUTO plant in Kvasiny has produced the 250,000th KODIAQ. ŠKODA’s first large SUV, which was revealed in autumn 2016, has only taken two years to reach a quarter of a million units. Today, the KODIAQ is one of the Czech brand’s bestselling models and is positively pressing ahead with writing its success story: in the first eight months of this year alone, over 100,000 vehicles were delivered to customers. With a production volume of 250,000 vehicles within roughly 23 months, the ŠKODA KODIAQ is one of the Czech car manufacturer’s central drivers for growth worldwide. Two years ago in September 2016, the brand’s first large SUV rolled into the spotlight at Berlin’s ‘Kraftwerk’ event venue. The KODIAQ celebrated its exhibition premiere at the Paris Motor Show that same month and production of the bold SUV started in 2016 at the Czech plant in Kvasiny. 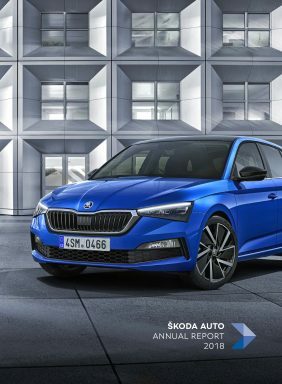 The ŠKODA Connect range of connectivity services, which is now part of the standard equipment for practically all of the brand’s model ranges, also made its debut in the KODIAQ. The 250,000th KODIAQ is a SPORTLINE in Steel Grey. The milestone vehicle will be delivered to a customer in France. The ŠKODA KODIAQ is currently manufactured at six car factories. In addition to the Czech plant in Kvasiny, the large SUV is also produced at sites in Changsha in China, Nizhny Novgorod in Russia, Aurangabad in India, Solomonovo in Ukraine and Ust-Kamenogorsk in Kazakhstan. The brand’s first large SUV impresses with a high level of functionality for day-to-day life, excellent value for money, an exceptional amount of space, ŠKODA Connect’s innovative connectivity offerings as well as state-of-the-art assistance systems for safety and comfort. With the emotive KODIAQ bodywork, ŠKODA transferred its expressive design language into the SUV segment for the first time. The appearance of the KODIAQ is characterised by the ŠKODA-typical clear-cut, precise lines, the distinctive radiator grille and the bold wheel arches. The ŠKODA KODIAQ is the first of the brand’s models to be available with an optional third row of seats, allowing up to seven people to enjoy excellent travelling comfort in the large SUV. In addition to the KODIAQ, ŠKODA’s SUV portfolio currently includes the compact SUV KAROQ as well as the KAMIQ, which is produced in China for the local market. Soon, the ŠKODA KODIAQ will be taking on yet another pioneering role – as the first of the brand’s SUVs to bear the RS initials, which adorn ŠKODA’s sportiest models. The emotive design of the KODIAQ RS comes alive thanks to the interplay of elegant lines, sporty contours and the typical robust nature of an SUV. The 176-kW (240-PS) ŠKODA KODIAQ RS will make its debut at the 2018 Paris Motor Show in October.